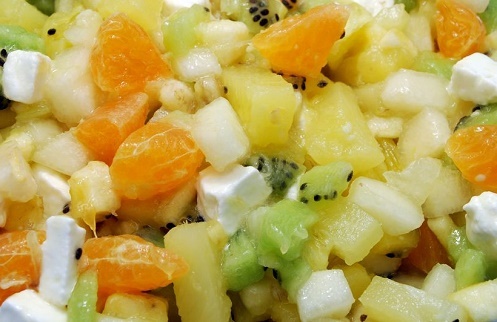 Bits of colorful marshmallows add color, texture and gooey sweetness to plain fruit salads. This is another recipe you’ll have to prepare ahead of time so the marshmallows could absorb the sweet fruit juice. The final result is a delightful concoction that your kids will love.